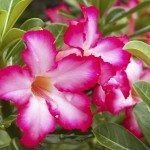 I would like to graft different color flowers on one desert rose plant. What is the best method of achieving that? Go to the following link and read the third article.